Ski enthusiasts will be heading to Breckenridge March 17 for Spring Fever events that include the Bud Light Concert Series, the “5” Peaks” Mountaineering Race, the Easter kids festival, and more. Vacation Rental Organization offers Breckenridge vacation rentals for one night, one weekend, or one week for singles, couples, and families who love their Colorado outdoor vacations. Visiting Breckenridge is always a treat, especially when Spring Fever brings in the vacation crowd with skiing on their mind. When others are heading to Florida for their spring break, die-hard skiers will be heading for Spring Fever in Breckenridge, the last hurrah for winter season skiing and riding, March 17, to April 25. Winter sports enthusiasts heading to Breckenridge for the Signature Spring Fever event are booking Colorado Vacation Rental condos in Breckenridge instead of hotel rooms, according to John Romano of Vacation Rental Organization. Families, couples, and groups of friends descend on Breckenridge for events that include the Bud Light Concert Series, the “5” Peaks” Mountaineering Race, the Easter kids festival, and more. Early spring travelers can stay in a Breckenridge vacation rental cottage or chalet for less than it costs to rent a hotel room. By visiting VRWD.com, travelers can browse Breckenridge vacation rentals available for one night, one weekend, or one week for singles, couples, and families who love their Colorado outdoor vacations. 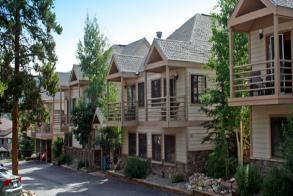 Savvy travelers have been booking vacation rental homes in Breckenridge and all across Colorado for years. The value of a vacation rental property over a hotel is what keeps repeat visitors coming back – in addition to the cost savings over a hotel, they enjoy all the comforts of home in some spectacular Breckenridge area vacation homes. For more information, visit VRWD.com. Four bedroom, three bath cabin, sleeps 11 One bedroom, one bath condo sleeps four Three bedroom, two bath cabin sleeps eight.